Mr. Moreno is a senior associate in the Business Trial Practice Group in the firm's San Diego office. Mr. Moreno practices general business and commercial litigation in both state and federal courts. He also has experience in private arbitration, having previously prevailed on behalf of his clients after full arbitration. Mr. Moreno has experience handling matters in a diverse array of industries, including the banking and finance, mortgage, hospitality, technology and telecommunications, restaurant and franchise, energy and extraction, and pharmaceutical industries. He is also experienced in the law of receivership and has actively managed the legal affairs of businesses placed into receivership. He is familiar with single plaintiff litigation, derivative claims, class actions and other complex litigation. Mr. Moreno has acted as lead associate in complex securities fraud class actions under Section 10(b) of the Exchange Act of 1934 and has defended derivative claims involving California, Nevada, and Delaware corporations. In addition, Mr. Moreno has experience acting as lead associate managing the defense of class actions alleging violations of the Telephone Consumer Protection Act. Mr. Moreno has successfully represented clients in claims involving breach of contract, unfair business practices, false advertising, fraud, breach of fiduciary duty, negligence, wrongful foreclosure, unfair debt collection, unfair credit reporting, unjust enrichment, misappropriation of trade secrets, quiet title, emotional distress, and receiverships, among others. 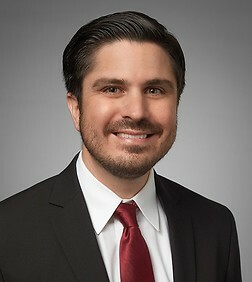 Mr. Moreno is fluent in Spanish and has experience litigating cross-border disputes and labor disputes involving a primarily Spanish speaking workforce. He recently acted as lead associate in an intense fact gathering investigation involving a wage and hour class action at a large waste management company. Mr. Moreno is a regular contributor to various legal blogs discussing developments in the law affecting public companies, issuers of securities, banking and finance regulations, and companies with business in Latin America. Mr. Moreno also regularly updates Sheppard Mullin’s practice guide regarding the defense of subprime mortgage related lawsuits. Mr. Moreno also volunteers his time to various pro-bono causes, and recently obtained two trial victories as lead counsel in one case and co-lead counsel in the other. In addition, Mr. Moreno has worked on pro-bono guardianship cases and immigration matters.